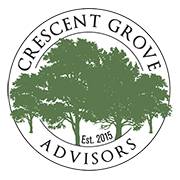 Crescent Grove Advisors is looking for a Tax Analyst for their Milwaukee, Wisconsin location. Crescent Grove Advisors is seeking a CPA with a positive attitude, high degree of integrity, creativity, and passion for tax research to work side by side with our Tax Manager and a cohesive group of professionals servicing high net worth families. Perform detailed reviews of complex individual and trust income tax returns. Provide support to advisors and analysts in income and estate tax planning, quarterly income tax projections, and compliance. Conduct tax research and provide comprehensive solutions on all tax matters. Complete partner and S corporation shareholder basis reconstruction. Respond to IRS and state tax authority inquiries until successful resolution. Assist in educating team members regarding tax law developments and opportunities. Contribute knowledge and training to tax preparers. Create cases and follow through with tax software provider as needed. Minimum 3 years public accounting experience preparing and/or reviewing individual and fiduciary income tax returns. Demonstrated communication and organization skills. Knowledge of multistate, complex individual, trust, estate, gift, and partnership taxation. Understanding of passive activity regulations and foreign filing requirements. Working knowledge of Excel and Word. Experience with GoSystem, Checkpoint, BNA Income Tax Planner, and Bloomberg Law Tax Research software a plus. If you are interested in working at Crescent Grove Advisors, please contact us at Careers@crescentgroveadvisors.com. The material shown is for informational purposes only and should not be construed as accounting, legal, or tax advice. Crescent Grove Advisors is a registered investment adviser with the Securities and Exchange Commission; registration does not imply a certain level of skill or training. While efforts are made to ensure information contained herein is accurate, Crescent Grove Advisors cannot guarantee the accuracy of all such information presented. Andrew Krei leads Crescent Grove Advisors’ investment research efforts, working closely withthe firm’s Chief Investment Officer and the Crescent Grove Investment Committee to build and maintaina high quality, open architecture investment platform. 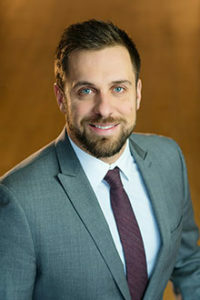 In addition to his work on the investment platform,Andrew works with clients to develop andimplement investment portfolios tailored totheir unique circumstances and needs. Prior to joining Crescent Grove Advisors as an equity partner, Andrew was responsible for investment research at Cedar Street Advisors, a boutique wealth management organization catering to highly affluent clients. In this role, Andrew led or supported the firm’s investment due diligence efforts. Andrew has attained his CFA designation and isa current member of the CFA Society Milwaukee.He received his BA from the University of California,Los Angeles. Originally from Memphis, Tennessee, Andrew currently resides in Milwaukee, Wisconsin,where he and his wife, Margaret, are activesupporters of the arts in the community. In hisfree time, Andrew also enjoys travel, readingand playing golf competitively. 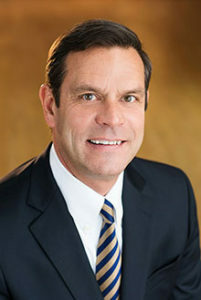 Jim Wood is a Senior Client Advisor of Crescent Grove Advisors. Jim creates customized financial planning strategies that help top executives, entrepreneurs and business owners build, manage and transfer their wealth. Prior to joining Crescent Grove Advisors as anequity partner, Jim was a Senior Client Advisor atCedar Street Advisors, a boutique wealth management organization catering to highly affluent clients. Previously, Jim was an account manager with a subsidiary of Goldman Sachs, where he was responsible for advising C-suite executives on their personal financial affairs. A native of Albany, New York, Jim received his J.D. degree from the University of San Diego and was admitted to practice law in New York State. Jim earneda BA from Boston College. He and his wife, Pat, residein Mequon, Wisconsin, with their three children. In hisfree time, Jim enjoys playing hockey and golf. 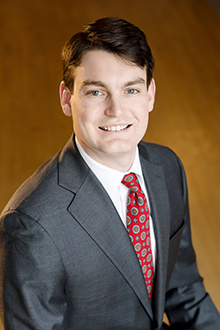 David Ness is an Institutional Portfolio Manager with Crescent Grove Advisors. David manages investments for foundations, endowments, donor advised funds and other institutional clients. He also serves on the Crescent Grove Investment Committee which builds, implements and maintains a high-quality, open architecture investment platform. 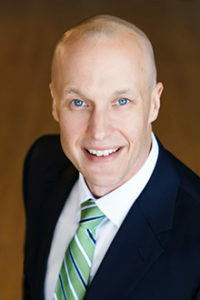 Prior to joining Crescent Grove, David served in a number of investment capacities within BMO Global Asset Management and formerly M&I Investment Management Corp. Over his 13 years with BMO/M&I,David held positions as an institutional portfolio manager, regional director of affiliates, financial analyst and interim Treasurer of the Marshall Funds. Prior to BMO/M&I, David was an investment specialist and client advisor with Waterhouse Securities and TD Waterhouse in Milwaukee, WI and Orlando, FL. Raised in Wisconsin, David attended the University of Wisconsin – Green Bay and received his BS degree in Economics. He currently attends Marquette University pursuing his MBA. David is a member of the CFA Society of Milwaukee. He also holds the Certified Fund Specialist (CFS) designation. David is involved in a number of charitable organizations. David and his wife, Jaclyn, reside in Milwaukee with their three children. In his spare time, David loves spending time with his family, playing golf and being outdoors. Bob is a Senior Wealth Advisor with Crescent Grove Advisors | Portfolio Management Services. Specifically, Bob focuses on portfolio management services for clients with liquid investable assets of $1 million to $10 million. In addition to portfolio management, Bob works to coordinate his clients’ entire financial plan to address tax planning, cash flow and risk management. Prior to joining Crescent Grove Advisors | Portfolio Management Services, Bob served with a subsidiary of Goldman Sachs. Most recently, Bob has been working directly with families as a Wealth Advisor focusing on investment management and planning needs. Prior to his time as a Wealth Advisor, Bob spent eight years working with C-Suite executives where he served as Vice President of Financial Counseling, advising his clients on their personal financial affairs. A native of Illinois, Bob received his J.D. degree from Northern Illinois University College of Law and was admitted to practicelaw in the State of Illinois. Bob received his BA degree, with a concentration in finance, from Governors State University in University Park, Illinois. Bob and his wife, Maria, reside in Lincolnshire, Illinois, with their two young children. Bob andMaria are avid supporters of their favorite charity, the Northern Illinois Food Bank. Bob enjoys staying active through participation in trail-running, basketball and golf, while also serving as a basketball and soccer coach. 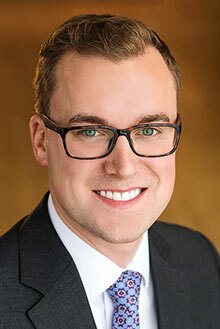 Eric Schmitz is an Investment Research Analyst and member of the Crescent Grove Investment Committee. In collaboration with the firm’s Chief Investment Officer and other members of the Investment Committee, Eric provides tailored investment research to build and maintain a high quality, open architecture investment platform. In addition to his work on the Investment Committee, Eric consults with Advisors internally to build personalized, comprehensive portfolios for ultra-high net worth and institutional clients. Prior to joining Crescent Grove Advisors as a Financial Analyst, Eric was a Research Associate at William Blair examining companies in the Consumer Staples industry. In this role, Eric supported the investment research process by conducting financial statement analysis, building financial models and issuing investment recommendations. 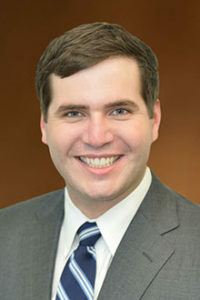 Prior to his role at William Blair, Eric held analyst positions in the retail and wealth management industries. A Chicago native, Eric attained the CFA designation in August 2017 and is a member of the CFA Society of Chicago. Eric graduated from DePaul University in Chicago with a BS in finance with a minor in accounting. In his free time, Eric enjoys biking, skiing, scuba diving, boating and generally staying active. 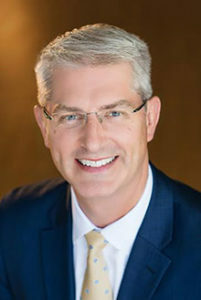 Tony Wright is a Senior Client Advisor of CrescentGrove Advisors and Manager of the firm’s AtlantaOffice. In this role, he tailors personalized investment management and financial planning strategies that enable busy C-suite executives, entrepreneurs and business owners to grow and protect their wealth and to enjoy the success they earned with the people they love. Prior to joining Crescent Grove advisors as an equity partner, Tony was a Senior Client Advisor at CedarStreet Advisors, a boutique wealth management organization that caters to highly affluent clients. Before this, he was an Account Manager with a subsidiary of Goldman Sachs, where he was responsible for advising C-suite executives on their personal financial affairs. A native of Colorado, Tony received his J.D. degreefrom Regent University School of Law and wasadmitted to practice law in the Commonwealth of Virginia. Tony earned his BA in Sociology from Lee University. When not watching or attending Denver Broncos football games, Tony enjoys travelingwith his family, skiing, playing basketball and takingevery opportunity to get outdoors. A native of Colorado, Tony received his J.D. degree from Regent University School of Law and was admitted to practice law in the Commonwealth of Virginia. Tony earned his BA in Sociology from Lee University. When not watching or attending Denver Broncos football games, Tony enjoys traveling with his family, skiing, playing basketball and taking every opportunity to get outdoors. 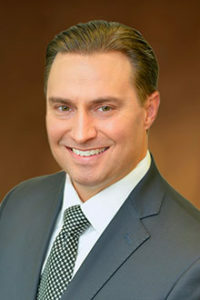 Nick Kochanski is a Managing Director, ChiefFinancial Officer and Senior Client Advisor of Crescent Grove Advisors. Nick provides C-suite executives, entrepreneurs and private business owners unbiased financial advice and straightforward solutions to complex financial planning matters. Prior to co-founding Crescent Grove Advisors, Nickwas a Senior Client Advisor at Cedar Street Advisors,a boutique wealth management organization catering to highly affluent clients. In this role, Nick was responsible for counseling a number of high net worth families and providing asset management services. Earlier in his career, Nick was a financial analyst with a subsidiary of Goldman Sachs, where he was responsible for advising high-level executives on their personal financial affairs. Nick has attained his CFA designation and is a current member of the CFA Society Chicago. He earned an MBA from the University of Chicago and a BS in Finance from the University of Illinois. Born and raised in Chicago,Nick and his wife, Jacki, currently reside in Mt. Prospect, Illinois. In addition to staying busy with their two young children, the Kochanskis are active fundraisers for a variety of philanthropic organizations. Nick also is anavid sportsman and especially enjoys the outdoorsand fishing. 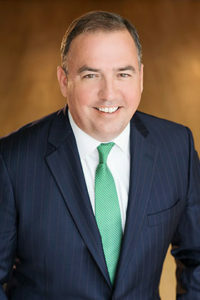 As Managing Director and Senior Client Advisor of Crescent Grove Advisors, Gregg George specializesin working with C-suite executives, entrepreneurs and business owners to coordinate the development and implementation of highly customized financial offerings. In so doing, he advises clients and their families on all aspects of their financial lives in an independent and unbiased manner. Prior to co-founding Crescent Grove Advisors, Gregg was the Managing Director and a Senior Client Advisorat Cedar Street Advisors, a boutique wealth management organization catering to highly affluent clients. Before this, Gregg was an Account Manager with a subsidiary of Goldman Sachs, where he was responsible for advising C-suite executives on their personal financial affairs. Raised in New York, Gregg is currently licensed to practice law in Massachusetts and Illinois. He receiveda Master of Law (LL.M) degree in Taxation from Boston University School of Law, a J.D. degree from DePaul University College of Law and a BS in Political Science from Boston College. Gregg is the President of a 501(c)(3) Donor Advised Fund and has served as Chairman of Best Buddies Wisconsin, a not-for profit.Gregg and his wife, Laura, reside in Kildeer, Illinois, and have four boys. In his spare time, Gregg loves watching his kids play sports and just have fun growing up. 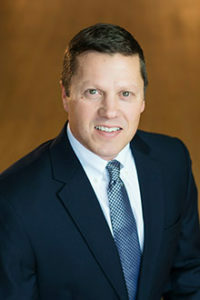 Gary Gawryleski is a Client Advisor of Crescent Grove Advisors. Gary is responsible for coordinating the development and implementation of highly customized financial solutions for C-suite executives, entrepreneurs and business owners and their families. This includes providing objective advice on all aspects of his clients’ financial lives and helping to turn their life aspirationsinto financial realities. Before joining Crescent Grove Advisors as an equity partner, Gary was a Client Advisor at Cedar Street Advisors, a boutique wealth management organization catering to highly affluent clients. In this role, he was responsible for counseling a number of families and providing asset management services. Gary received his MBA and BS degrees fromMarquette University. He and his wife, Courtney,live in Menomonee Falls, Wisconsin, with their three children. The Gawryleskis are active fundraisers and volunteers for the Children’s Hospital of Wisconsin,an organization that is near and dear to their hearts.In addition to participating in his children’s sports,Gary enjoys outdoor activities and spending therare quiet moment with his wife. David Keevins is Managing Director, Chief Investment Officer and Senior Client Advisor of Crescent Grove Advisors. Dave provides comprehensive investmentand financial planning solutions to help highly successful business owners and executives grow, protect and manage wealth in a disciplined process that takes the emotion out of investing. Prior to co-founding Crescent Grove Advisors, Davewas a Senior Client Advisor at Cedar Street Advisors,a boutique wealth management organization cateringto highly affluent clients. Before this, Dave was a Senior Partner with a subsidiary of Goldman Sachs, where he was responsible for advising C-suite executives on their personal financial affairs. A lifelong resident of Lincolnshire, Illinois, Dave earned an MBA from the University of Chicago and a BBA in Finance from the University of Kentucky. He and hiswife, Kristin, have twins. In his spare time, Dave enjoys golf, platform tennis, reading and watching his kidsplay sports. 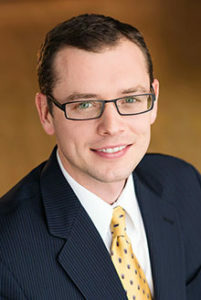 Chris Jauch is a Client Advisor of Crescent Grove Advisors. He specializes in helping C-suite executives, entrepreneurs and private business owners to coordinate the development and implementation of highly customized financial offerings. In doing so, Chris provides clients and their families objective adviceon all aspects of their financial lives. Before he joined Crescent Grove Advisors as anequity partner, Chris was a Client Advisor at CedarStreet Advisors. Cedar Street Advisors is a boutique wealth management organization that focuses on providing asset management services specificallyto highly affluent clients. Originally from Illinois, Chris received his MBA from Marquette University and a BA in Finance from the University of Illinois. He and his wife, Reagan, residein Wauwatosa, Wisconsin, with their four children. Chrisis actively involved with the Phelan-McDermid Syndrome Foundation, where he served on the Legislative Advocacy Committee. The Jauchs are also strong supporters of Children’s Hospital of Wisconsin, Ronald McDonald House, Make-A-Wish Foundation and the Education Foundation of Wauwatosa (EFW). In his free time, Chris enjoys reading, running and spending time with his family. With experience working closely with C-suite executives, business owners and entrepreneurs, Blake Durham is a Client Advisor based in Crescent Grove Advisors’ Atlanta office. In this role, Blake is responsible for intimately understanding clients’ unique family, business and financial circumstances and customizing solutions to assist them in achieving their unique financial objectives. In his previous role, Blake served as a Senior Financial Analyst with Crescent Grove Advisors. Prior to joining Crescent Grove Advisors, Blake served as a Financial Analyst at Cedar Street Advisors, a boutique wealth management organization that provides financial and wealth management services to highly affluent individuals and their families. 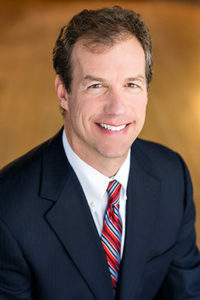 Born and raised in Savannah, Georgia, Blake received his BBA degree in Finance and Accounting from the Goizueta Business School at Emory University in Atlanta, Georgia. He is currently pursuing an MBA degree from the Goizueta Business School at Emory University. Blake and his wife, Tricia, currently residein Atlanta, Georgia with their daughter. 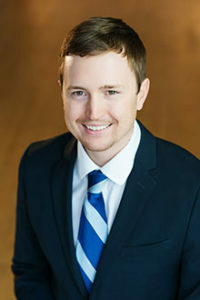 In additionto being an avid sports fan, Blake enjoys traveling, fishing and playing golf in his free time. 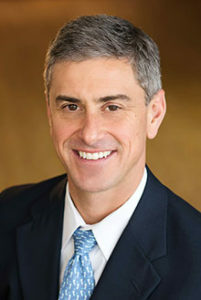 Alan Cheskey is a Senior Client Advisor of Crescent Grove Advisors. Alan provides sophisticated investment and financial planning strategies that address the special needs of C-suite executives, entrepreneurs and business owners and their families. Prior to joining Crescent Grove Advisors as an equity partner, Alan was a Senior Client Advisor at Cedar Street Advisors, a boutique wealth management firm that specializes in providing financial planning solutions to high net worth clients. Before this, he was an investment advisor in Goldman Sachs’ Chicago office for eight years. Alan began his career at the Ayco Company, where he provided wealth management services to clients across the country for more than 20 years. Born and raised in Pittsburgh, Pennsylvania, Alan received his J.D. degree from Duquesne University School of Law and a BA from the University of Pittsburgh. He and his wife, Lynda, reside in Kildeer, Illinois. They have two daughters. The Cheskeys support several charities in the Chicagoland area, including their church, Clearbrook, and a variety of local causes. In his spare time, Alan also enjoys spending time with family and playing golf and other outdoor activities. Sanders Dargan is a Financial Analyst with Crescent Grove Advisors. Sanders works with a Senior Wealth Advisor to provide personalized financial analysis and comprehensive solutions to clients of our Portfolio Management Services business. Prior to becoming a Financial Analyst at Crescent Grove Advisors, Sanders was a Client Associate at Rappaport Reiches Capital Management. In this role, Sanders supported Client Advisors in preparing financial exhibits and executing trades. Sanders graduated from Sewanee: The University of the South in 2016 where he earned a major in Economics with a minor in Business. Having grown up in Charleston, South Carolina, Sanders has welcomed the change of moving to a metropolitan area and loves the culture that Chicago has to offer. He enjoys an active lifestyle and social events with friends. 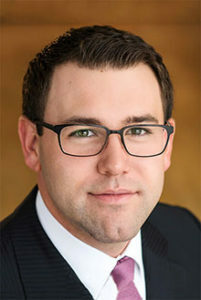 Ben Zwief is a Financial Analyst with Crescent Grove Advisors. Ben works with a Senior Client Advisor to provide personalized financial analysis and comprehensive solutions to C-suite executives, entrepreneurs and private business owners. Prior to becoming a Financial Analyst at Crescent Grove Advisors, Ben was a student at the University of Wisconsin – Madison where he earned a double major in Finance and Real Estate. 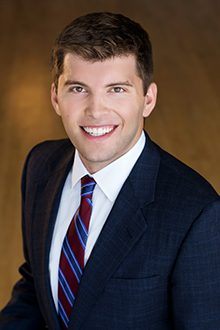 At Madison, Ben was a member of the Real Estate Club where he participated in case competitions that required financial statement analysis and modeling as well as presentations to panels of industry experts. Ben also served as the Philanthropy chair of his fraternity, where he was responsible for organizing and executing charitable events year-round. Having grown up in Cedarburg, Wisconsin, Ben is excited to be back in the Milwaukee area. Ben enjoys spending his free time playing soccer as well as watching NBA and NFL game. Jeanne Simmons is a Financial Analyst and Operations Specialist with Crescent Grove Advisors. She is responsible for assisting a Senior Wealth Advisor in coordinating and implementing financial plans addressing tax planning, cash flow and risk management. Jeanne also is supporting the operations team with the establishment and maintenance of accounts, coordinating transactions and managing the day-to-day workflow for the firm. Prior to joining Crescent Grove, Jeanne served in a number of investment capacities within BMO Global Asset Management and formerly M&I Investment Management Corp. Over her 24 years with BMO/M&I, Jeanne held administrative management and support positions, was an equity trader, and most recently was a financial analyst working with separately managed accounts across several investment strategies. 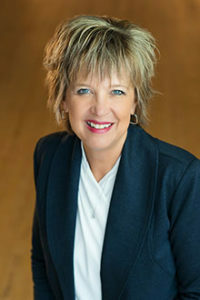 Jeanne earned her BS degree in Business Management from Cardinal Stritch University in Milwaukee, Wisconsin. She and her husband, Matt, reside in Franklin, Wisconsin, with their two children, Ryan and Aaron. Their sons are now off to college and both studying at UW Stevens Point. In addition to supporting and watching her family play baseball and other sports, Jeanne enjoys playing volleyball, hiding out in the peaceful north woods, watching movies and loves traveling with her family. Shanna Venne is a Financial Analyst with Crescent Grove Advisors. She is responsible for assisting a Senior Client Advisor in the implementation of highly customized financial solutions for C-suite executives, entrepreneurs, and business owners and their families. In this role, Shanna provides analysis and recommendations based on a holistic understanding of the client’s personal, family and philanthropic objectives. Before joining Crescent Grove Advisors, Shanna served as an Account Administrator for a boutique wealth management firm in the Milwaukee area. Prior to this role, she was a Market Maker for a proprietary trading firm at the Chicago Mercantile Exchange and the Chicago Board Options Exchange. Her experience includes trading equity index options in both open outcry and electronic forms, as well as option pricing and risk management. Shanna graduated with a degree in Personal Finance from the School of Human Ecology at the University of Wisconsin ‒ Madison. She earned the CPA designation in 2015. Shanna lives in New Berlin, Wisconsin, with her husband Chad and their two daughters. She and her family enjoy spending time outdoors cycling and visiting national parks. In her free time, Shanna likes to read and practice Tai Chi. Amy Zastrow is a Senior Operations Specialist with Crescent Grove Advisors. With twenty years of financial services experience, Amy is responsible for providing comprehensive service for clients of the firm. This includes establishment and maintenance of accounts, coordinating transactions and managing the day-to-day workflow for the firm. Prior to joining Crescent Grove Advisors, Amy was an Account Administrator at Cedar Street Advisors, a boutique wealth management organization catering to highly affluent clients. Before joining Cedar Street Advisors, Amy was an Assistant Trust Administrator with Marshall & Ilsley Trust Company. Amy received her BS in Business Administration degree from Ottawa University. She and her husband reside in Milwaukee with their two children. Amy enjoys volunteering at her children’s school and spending time with her family. Noelle Matkovich is a Senior Operations Specialist with Crescent Grove Advisors with close to thirty years of financial services experience. 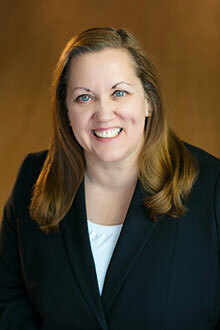 Noelle is responsible for providing comprehensive service for clients of the firm. This includes establishment and maintenance of accounts, coordinating transactions and managing the day-to-day workflow for the firm. Noelle is also the Account Administrator for the Cedar Street Charitable Foundation. Prior to joining Crescent Grove Advisors, Noelle was the Client Support Manager at Cedar Street Advisors, a boutique wealth management organization catering to highly affluent clients. Before joining Cedar Street Advisors, Noelle spent the majority of her career working for Marshall & Ilsley Bank Corporation in the Private Banking Division, as a Customer Support Manager. Born and raised in Milwaukee, Wisconsin, Noelle received her Associates Degree from Milwaukee Area Technical College. She and her husband Allen, a Milwaukee firefighter, reside in Milwaukee. They have two children: Alyson, a graduate of Northern Michigan University, and Jacob, a student athlete at the Air Force Academy. In her free time, Noelle enjoys traveling to see her children, exercising and spending time with family and friends. Dustin Wolk is a Financial Analyst with Crescent Grove Advisors. Dustin is responsible for Client Advisors in constructing customized financial analyses and solutions tailored to affluent clientele and their families. 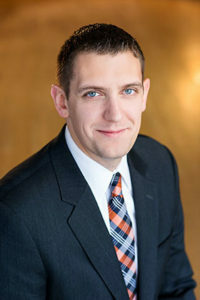 Prior to joining Crescent Grove Advisors in 2016, Dustin worked as an Accountant for the School of Information Studies at the University of Wisconsin-Milwaukee. He was responsible for implementing, managing and reporting the school’s budget and money movement. Dustin graduated from the University of Wisconsin-Milwaukee with bachelor’s degrees in Accounting and Finance. He currently resides in Wauwatosa, Wisconsin. He has a passion for travel and enjoys spanning the globe in search of backpacking and scuba diving destinations. Rosa Zagorski is a Senior Financial Analyst of Crescent Grove Advisors. 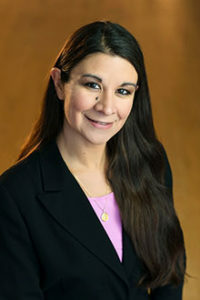 With over sixteen years of experience in the financial services industry, Rosa is responsible for assisting a Senior Client Advisor in the implementation of highly customized financial solutions for C-suite executives, entrepreneurs and business owners and their families. This includes the preparation of analysis and reports for the Senior Client Advisor and providing recommendations relative to the client’s needs. Before joining Crescent Grove Advisors, Rosa was a Senior Financial Analyst at Cedar Street Advisors, a boutique wealth management organization catering to highly affluent clients. Prior to joining Cedar Street Advisors, Rosa was the Corporate Compensation Director for Marshall & Ilsley Corporation, where she was responsible for the design, implementation and administration of the company’s compensation programs, with a focus on executive compensation. Rosa has attained her CPA designation. Rosa received her MS-Taxation and BBA-Accounting degrees from the University of Wisconsin – Milwaukee. Rosa lives in Brookfield, Wisconsin, with her two children. In addition to being involved in her children’s sports and activities, Rosa enjoys running, traveling and reading in her free time. 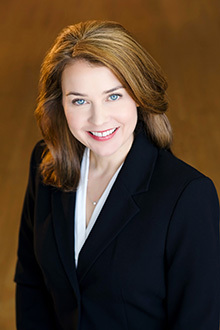 Maureen Costello is a Senior Financial Analyst with Crescent Grove Advisors. With over eleven years of experience in the financial services industry, Maureen works closely with Crescent Grove Advisors’ team of skilled Client Advisors to provide clients with financial advice and integrated planning solutions. 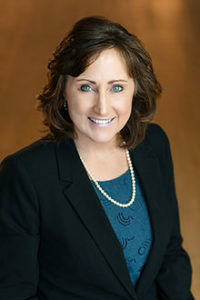 Her diverse work is focused on providing customized analyses and individualized reports that are suited to solve clients’ unique and often complex financial matters. She also serves as Secretary of the Crescent Grove Investment Committee. In addition, Maureen assists the team with operational and administrative functions tailored towards maintaining essential firm efficiencies. Prior to joining Crescent Grove Advisors, Maureen was a Senior Financial Analyst at Cedar Street Advisors, a boutique wealth management organization that catered to highly affluent clients. In this role, she assisted Client Advisors in the financial counseling of a number of high net worth families. Maureen graduated from Layfayette College with a BA in Economics. She and her husband, Kyle, currently live with their two children, Jack and Brady, in Whitefish Bay, Wisconsin. Maureen’s greatest joy is spending time with her family and volunteering in her children’s activities. In her free time, Maureen also enjoys cooking and traveling. 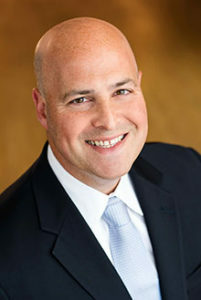 Rick Alteri is a Senior Financial Analyst of Crescent Grove Advisors. With over twenty years of experience in the financial services industry, Rick is responsible for supporting Senior Client Advisers in the implementation of customized financial solutions for C-suite executives, business owners and their families. Before joining Crescent Grove Advisors, Rick was a Wealth Planner for Wells Fargo for ten years. Rick began his career at the Ayco Company as a Financial Analyst where he was responsible for supporting Account Managers in preparing tax projections, tax returns and customized financial plans. A native of New York, Rick received his BS in finance from The College of Saint Rose. He and his wife, Lisa, reside in Kildeer, Illinois, with their daughter, Ashley. In his free time, Rick enjoys running, golf and spending time with his family. 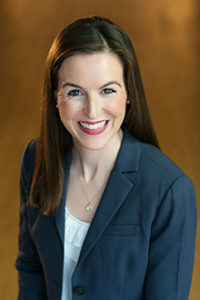 Molly’s responsibilities include overseeing tax compliance and support, including reviewing income tax returns, conducting tax research, and assisting in tax planning. She eagerly looks forward to supporting both staff and clients with any needs. Prior to joining Crescent Grove Advisors, Molly recently held the position of Tax Manager for Radke Schlesner CPAs where she provided tax and accounting services to small business clients and individuals, and has practical experience in the estate and trust area. 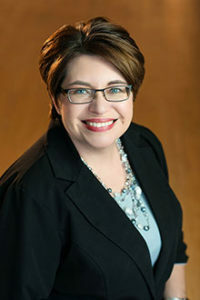 Molly has also held previous positions as Controller for JX Financial, Assistant Controller for JH Collectibles, Tax Supervisor for CliftonLarsonAllen LLP, and Auditor for Schenck SC in Appleton. Molly earned a Bachelor of Business Administration degree with a major in Accounting from St. Norbert College. She is a licensed CPA and has been a member of the AICPA and WICPA since 1988. A native of Fond du Lac, Molly and her husband, Dave, raised their three children in Greendale, Wisconsin. With the eldest grown, and their two youngest away at college, Molly and Dave now have more opportunities to enjoy their favorite outdoor activities using their new canoe and Hobie tandem kayak. 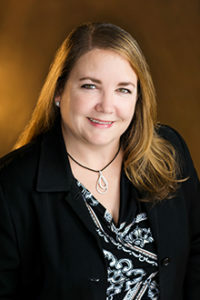 Beth Lindsey is Senior Office Manager of Crescent Grove Advisors. Prior to joining Crescent Grove Advisors, Beth was Vice President, Client Support at Cedar Street Advisors, a boutique wealth management organization catering to highly affluent clients. For over twenty-one years she was employed at the Ayco Company, a Goldman Sachs subsidiary. For the last eighteen years with Ayco, Beth was the Regional Office Manager. An Illinois native, Beth and her husband Dave, reside in Deerfield, Illinois. They enjoy spending time with their families and the outdoors. You are now leaving the Crescent Grove Advisors website and navigating to accounts page at Addepar. You are now leaving the Crescent Grove Advisors website and navigating to accounts page at Fidelity Investments.